Do you like to create dimple in your check? 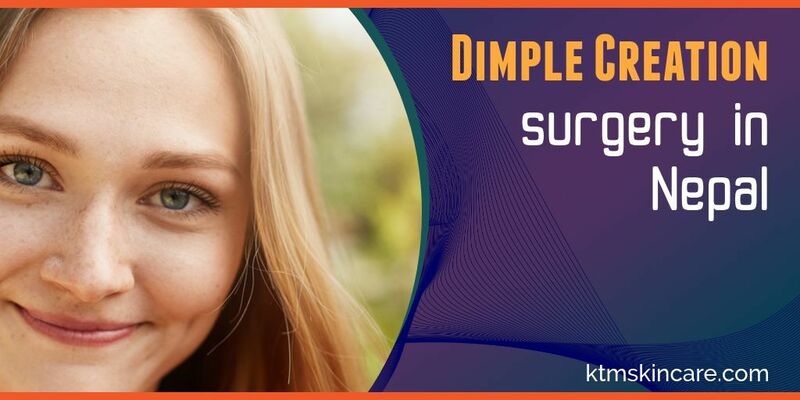 we at nepal plastic cosmetic and laser center will do best dimple creation in kathmandu .Dimple are small depression in cheek either on onside or both side which are either permanent or occurs during smiling. It is socially recognised as cute and beautiful things to have. Many people have desires to have a dimple for aesthetic purpose. We at NPCLC provide you with the option to create your desired dimple with a minor surgery. We at NPCLC provide you with the option to create a dimple as your heart desires in perfect site and of perfect size. There are no post surgical scars to be seen in this procedure as this procedure is done intra-orally. This surgery is also known as lunch break surgery as it can be done in your lunch break time. Even though this procedure is minor and takes very less time in wrong and inexperienced hands it can damage the face structure and aesthetic look of the face. so we at KTM skin care clinic advise you to make a good choice from registered and experienced plastic and cosmetic surgeon for the best possible outcome. We at Nepal plastic hospital provide you with the best counselling and surgical as well as non surgical treatment. We have the largest and best registered and qualified plastic and cosmetic surgeon of Nepal as well as multiple super specialty doctors and surgeons.